The young wife of an aging marquis is found murdered in the arms of the Prince Regent. Around her neck lies a necklace said to have been worn by Druid priestesses-that is, until it was lost at sea with its last owner, Sebastian St. Cyr's mother. 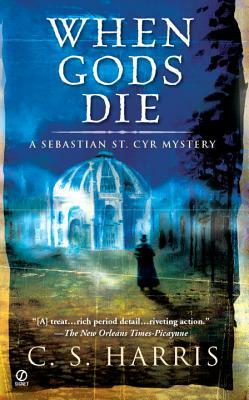 Now Sebastian is lured into a dangerous investigation of the marchioness's death-and his mother's uncertain fate. As he edges closer to the truth-and one murder follows another-he confronts a conspiracy that imperils those nearest him and threatens to bring down the monarchy.